The Environment is a very important area in the Big Local Plan. There was a lot of interest in using some of the money to make where we live better. 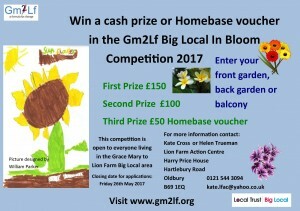 The Grace Mary to Lion Farm Big Local Partnership launch an annual Big Local in Bloom competition. 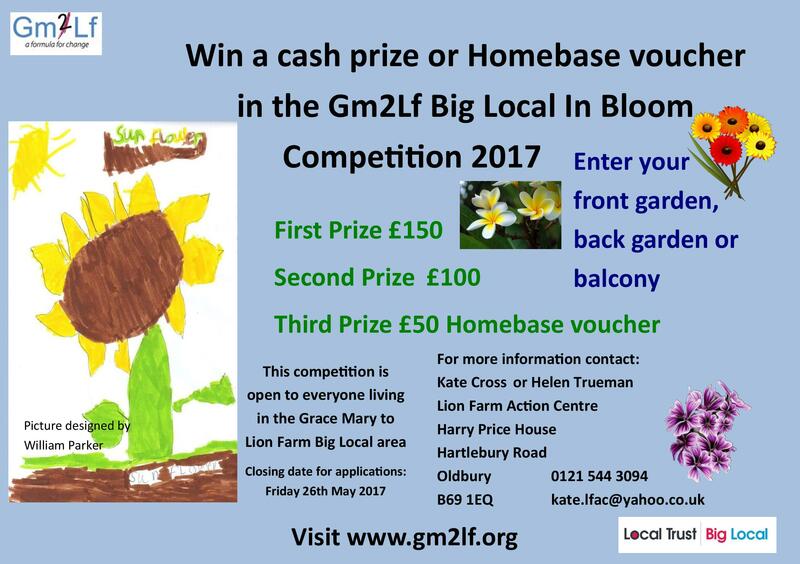 Prizes are awarded for the most improved gardens and balconies in the Big Local area. ‘Before and after’ Photographs are taken of all gardens and balconies belonging to people that enter the competition. Open to all children living in, or attending a school or a club in the Grace Mary to Lion Farm area. 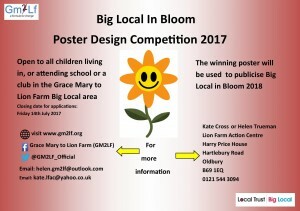 Prizes will be awarded for first, second and third and the winning poster will be used to publicise Big Local in Bloom 2018.